Hot dish. What can you say about it? It’s hot and delicious. 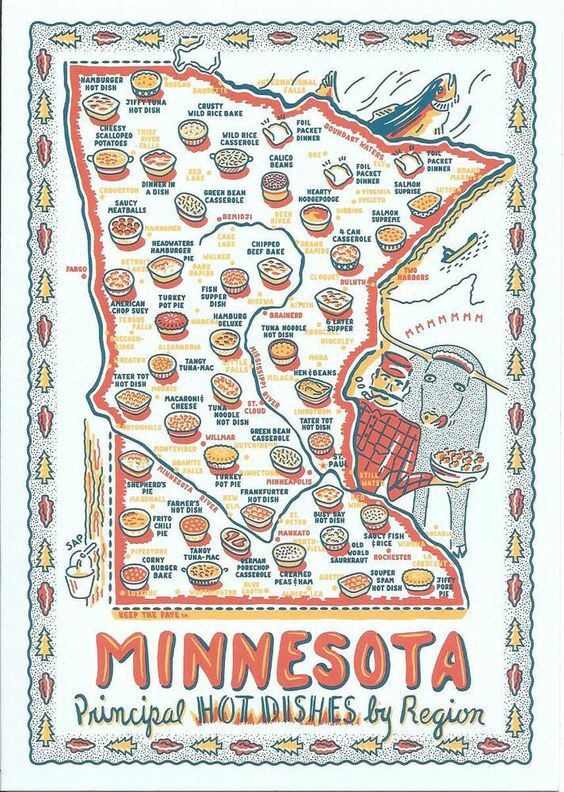 Here’s a map that describes Minnesota’s regional specialties (with a bit of imagination). Heartily approved by Paul Bunyan and Babe.